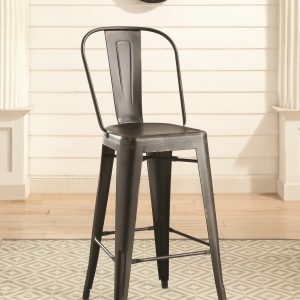 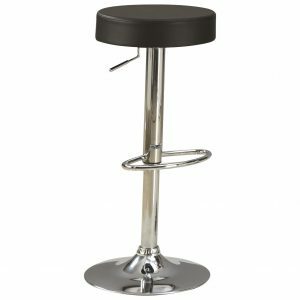 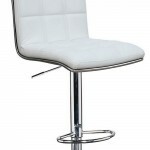 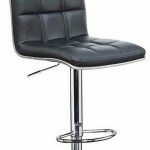 The Verona bar stool is stylish and comfortable. 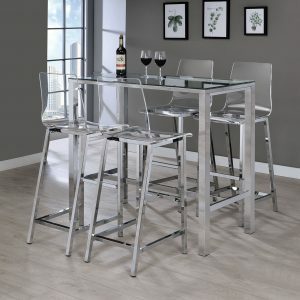 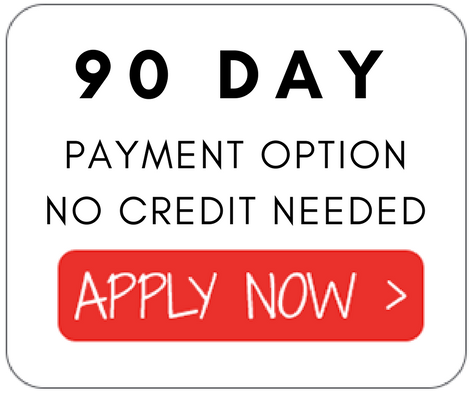 It will fit into any setting in to your dining area, kitchen and breakfast bar. 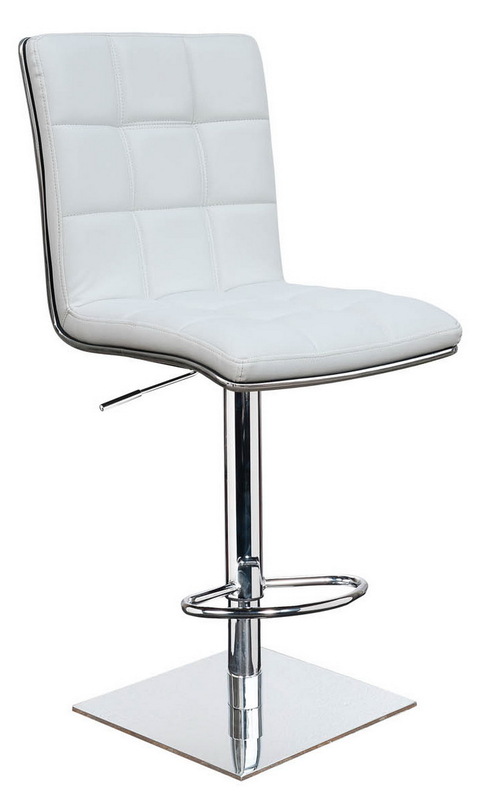 The frame is chrome and the seat is a padded white leatherette. 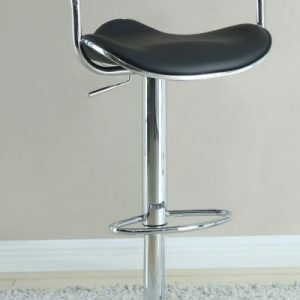 This bar stool is adjustable and swivels.